This is the 2018 Aquarius horoscope, based on the most important planetary transits and aspects. Until November 8th, Jupiter in Scorpio and the tenth house will help Aquarius to make a good impression at work, to make progress in career. At the beginning of December, Mercury retrograde may cause some misunderstandings in the workplace and it is important to resolve any conflict as soon as possible. Jupiter, the planet of growth, prosperity and good fortune, transits the tenth house, astrological house of career and public appearance. There is increased public recognition and professional success, for Aquarius men and women, in the first two months of 2018 (and the first week of March). Aquarius employees make a good impression and they are recognised for the work that they have done. Doors in the area of career open with ease, during this transit – there could be a promotion, new job opportunities or a diploma. Now, you are happy with your occupation and its earning potential, your work is challenging and fulfilling and you are constantly setting new and exciting goals. All these are signs of being successful. This period of time is particularly beneficial for those Aquarius having jobs in public relations, administration, politics, performing arts and showbiz – it will be expanded audience and acknowledgement for their work. During these four months, Aquarius men and women have to improve their professional skills, in order to fulfil their projects and their professional goals. Aquarius employees discover that they need to complete their studies and to expand their knowledge. So, between March and July 2018 it is a good time to take some college courses online, to participate in conferences and workshops, to read more (remember that all the billionaires are doing it!) and to try to become the best in your domain of expertise. In just two words: self-improvement. Or, if you like it better, personal development. Then, you will be able to create new goals for yourself, that are bigger and more daring than you would have previously thought possible. Neptune, planet associated with idealism and imagination, but also with illusions and confusion, is moving backward through Aquarius’ second house. There is a major risk of being scammed, during this period of time, so that you should be very careful with money and avoid, during summer and autumn, risky speculative investments. Remember to keep your personal information to yourself, to keep all the passwords, account numbers and sensitive paperwork in a safe place. If you have doubts regarding a business proposal, consult only people you trust. And, if you have been scammed, the first thing you need to do is contact your local police department and to report the fraud. On the other hand, there are two other possible mistakes, when Neptune goes retrograde: regretting the past and being afraid of future. Remember what Roy T. Bennett said: „No amount of regretting can change the past and no amount of worrying can change the future“. For the second time this year, Jupiter transits your tenth house, bringing increased public recognition and professional success. Like in January and February, there could be a raise, a promotion, new job opportunities, maybe a major award. 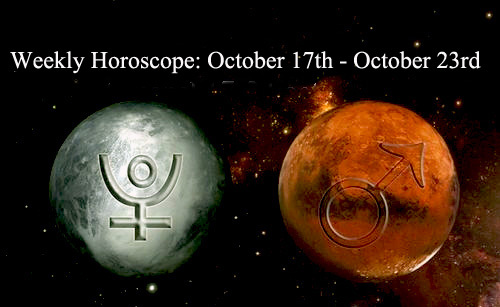 You have almost four months to take advantage of this beneficial astrological transit. Retrograde Mercury transiting the tenth house may indicate miscommunications in the professional sector and misunderstandings in the workplace. This is not a good time for professional meetings and for job interviews. But, if can’t avoid them, there are some things you can do, to improve communication. Firstly, when writing or speaking to someone, you have be clear about your goal or message. People shouldn’t have to make assumptions and read between the lines – be concise! You also need to be friendly, open and honest. Avoid hidden insults or passive-aggressive tones! Take the blame out of your words and communicate your feelings in a positive manner. So, you’ll gain more confidence in yourself and people will respect you more. If you made some mistakes between December 2nd and December 6th, (when Mercury was moving backward through your house of career), now it is a good time to fix them. Conflict among colleagues can’t be avoided or totally eliminated. Left unheeded, it is associated with significant stress, health problems and poor productivity. If you had a conflict in the previous 5 days, resolve it right now! Carrying a grudge or harbouring thoughts of revenge about a colleague or boss will never help you. On the contrary, you need to remember to not make a work issue a personal issue. Find some common ground with the person, discover some things you agree upon and concentrate on them! it will be better, for both of you. 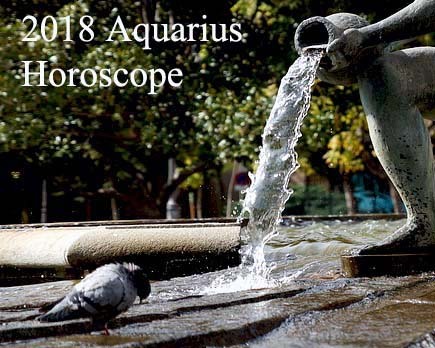 Share the post "2018 Aquarius Horoscope: Money, Career and Business"